Experience LIVE AQUA like never before when you save up to $150 off your all inclusive vacation starting from $649 pp. 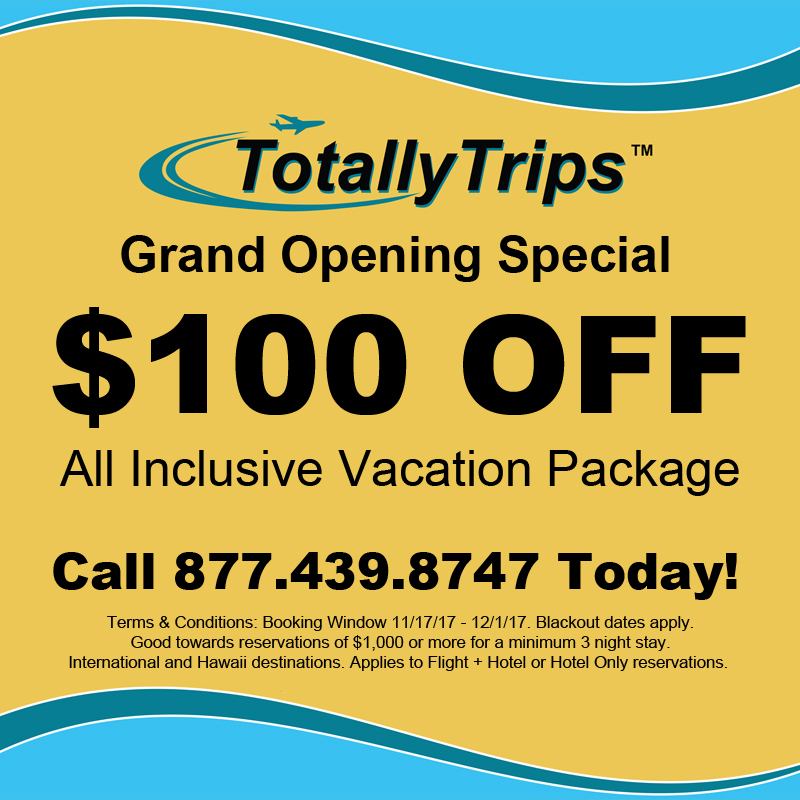 Grand Opening Special – $100 OFF Your Vacation Package! Ready to hit the beach this holiday season? How about save $100 off your all inclusive vacation package? Right now, you can save big EXCLUSIVELY with Totallytrips during our Grand Opening Special event. Call 877.439.8747 today! Last Minute Deals from St. Louis featuring Riu Caribe from $679 for 3 nights! Just a short drive to the shopping, discos and restaurants of Cancun’s popular Hotel Zone, the Riu Caribe provides an exciting retreat for families and active travelers. Guests to the Riu Caribe are treated to splendid, tropically-decorated guestrooms, modern fitness facilities, a popular kid’s club, 24-hours of upscale dining options and a selection of bars and lounges. Last Minute Deals from St. Louis – Chic Punta Cana 3 Night $849! NEW Last Minute Deals from St. Louis featuring El Dorado Seaside Suites! New Last Minute Deals from St. Louis – This week from Totallytrips!